It has 2 DNS records, dns1.stabletransit.com, and dns2.stabletransit.com. It is hosted by Rackspace Hosting Texas, using Apache/2 web server. 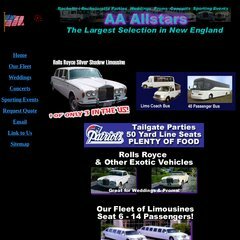 Aaallstars.com's server IP number is 64.49.219.218. PING www. (64.49.219.218) 56(84) bytes of data.